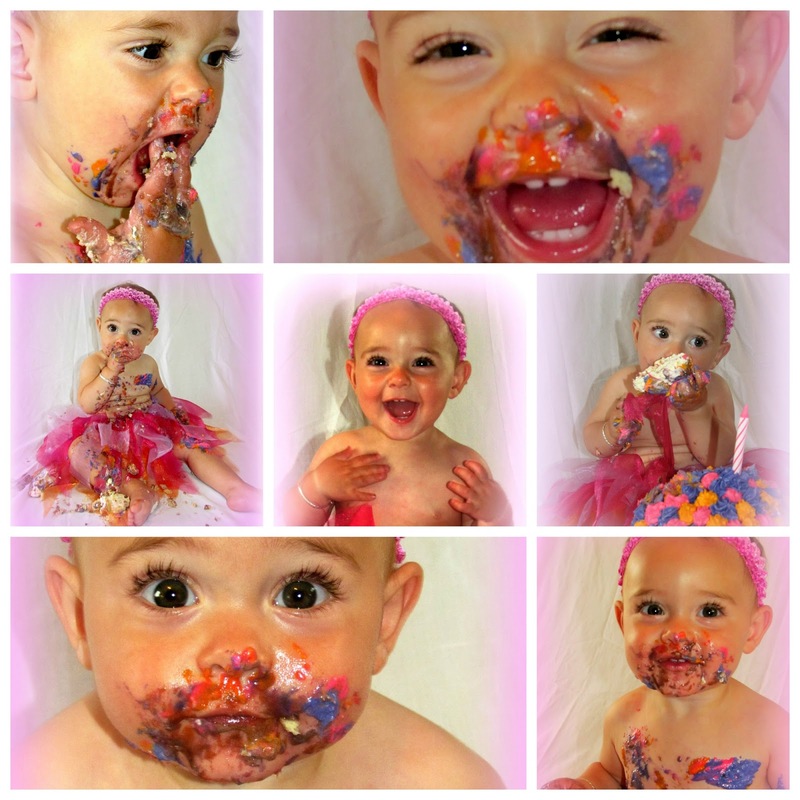 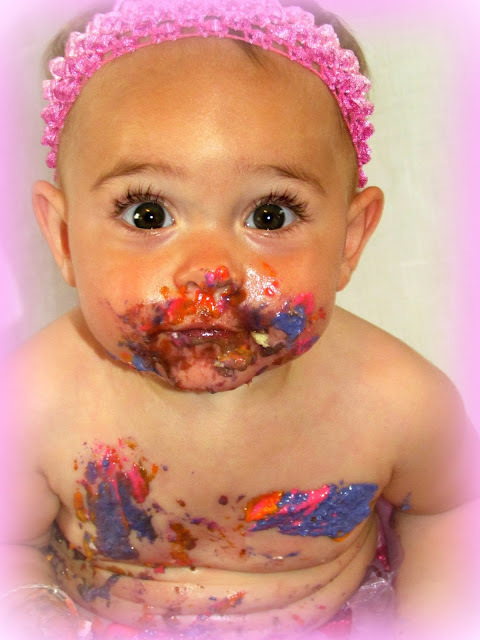 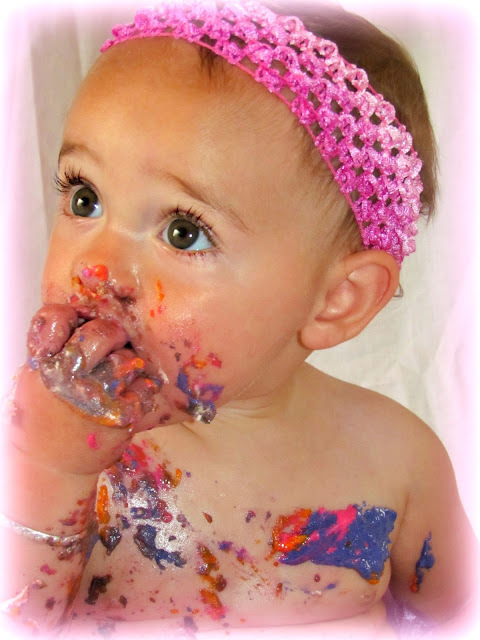 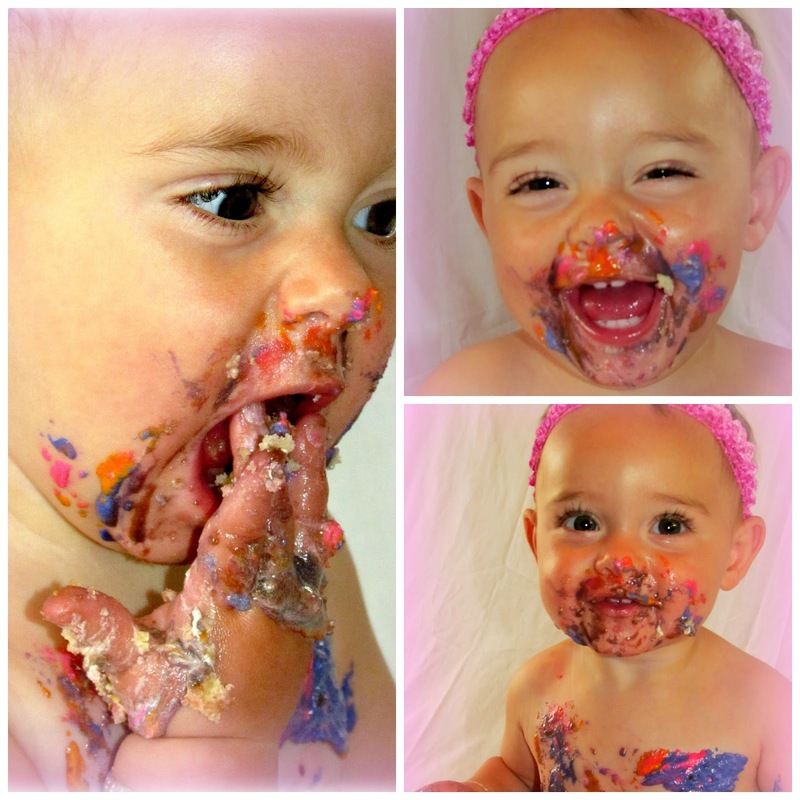 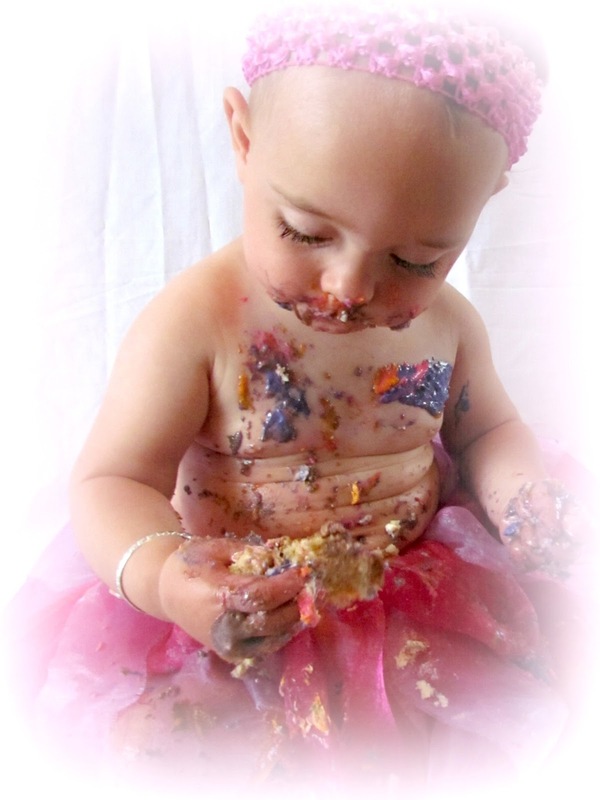 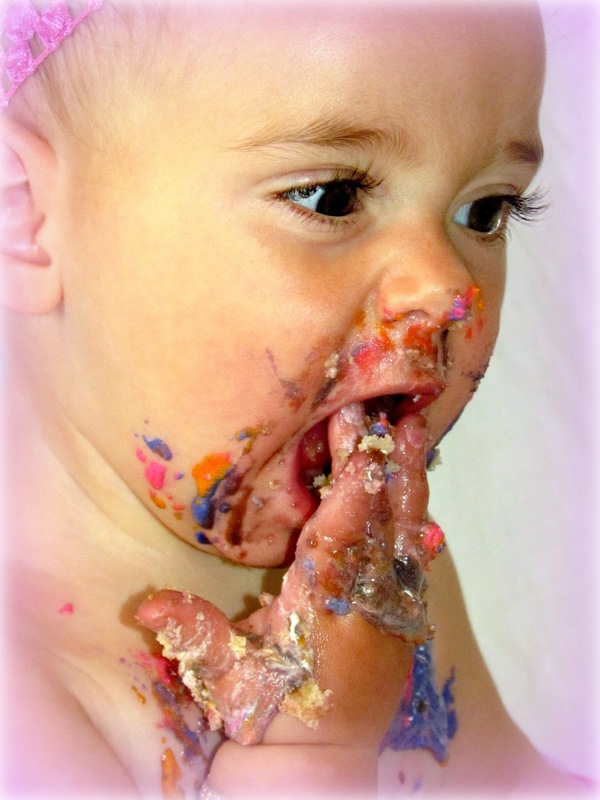 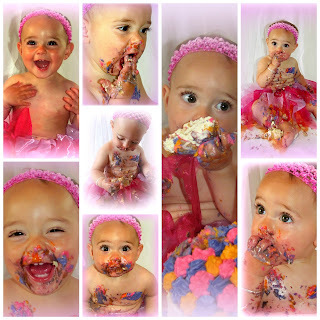 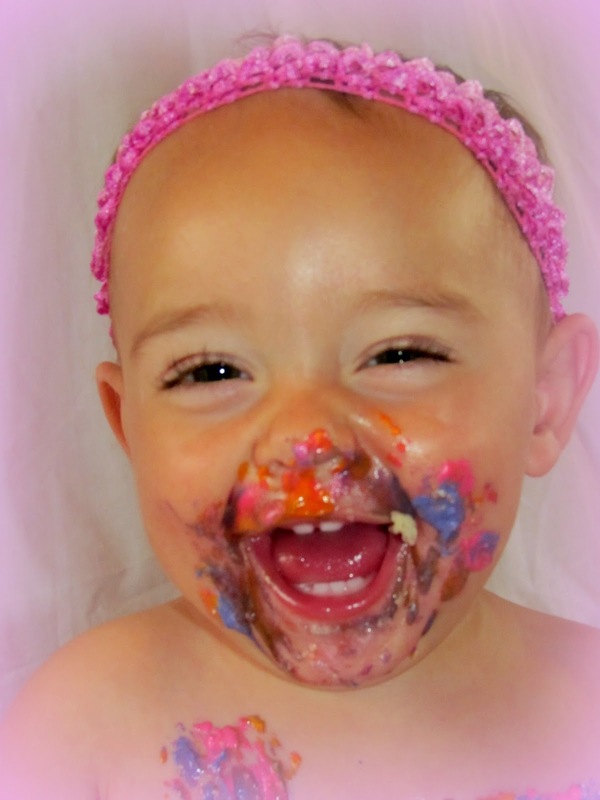 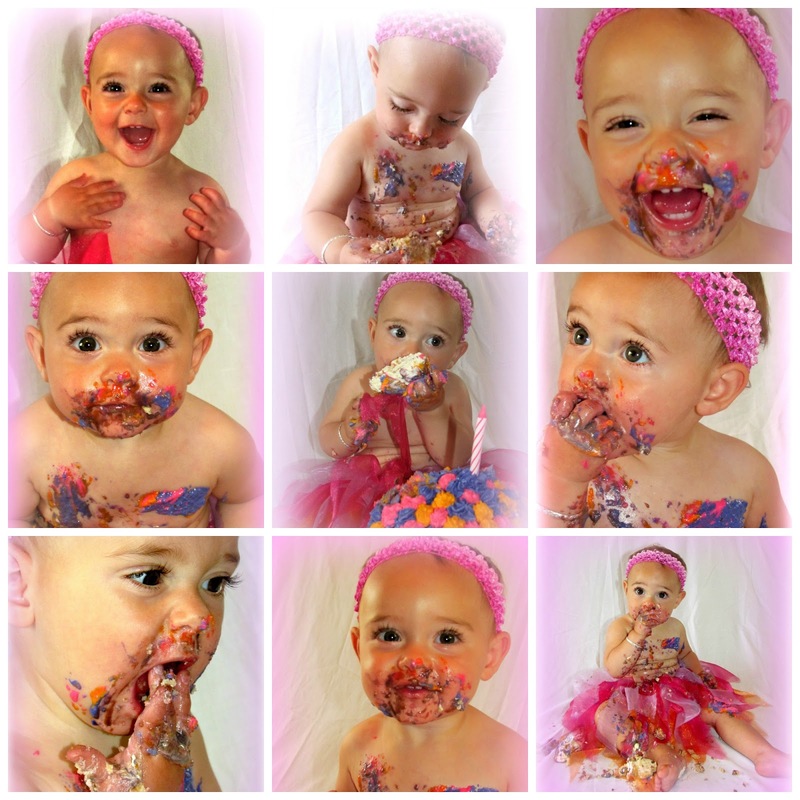 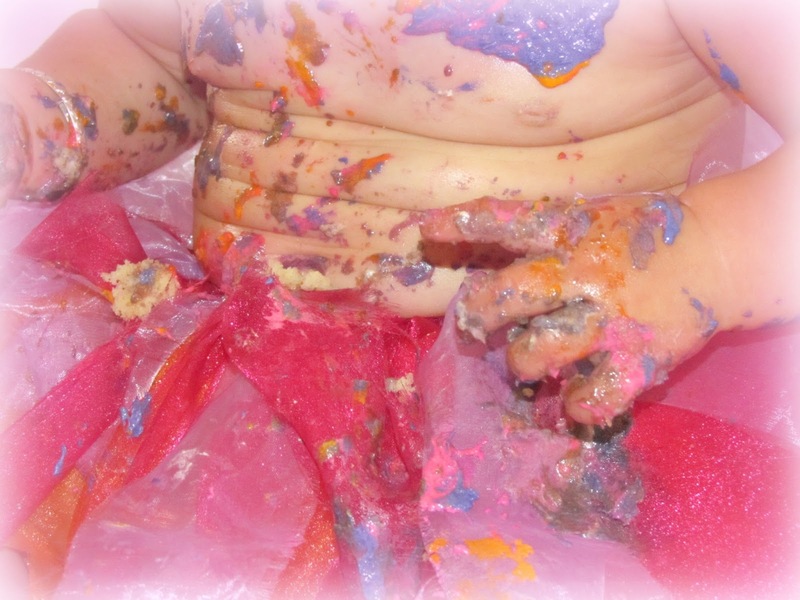 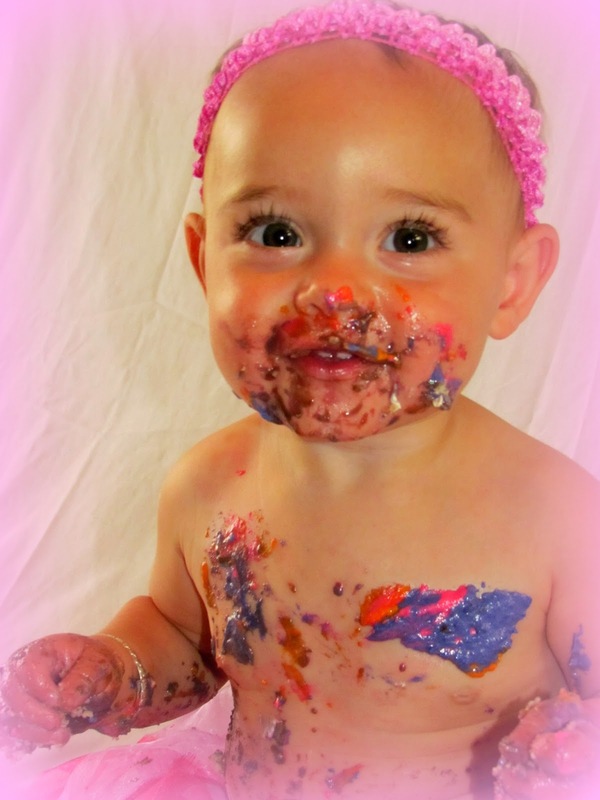 I had seen on heaps of American Websites lots of babies doing cake smashes for their first birthday. After ringing around a few photographers I couldn't find any that would do a cake smash for Willow at such short notice so Rob and I thought we would have some fun, make some great memories and capture the photos ourselves. Here are a few of my favourites. 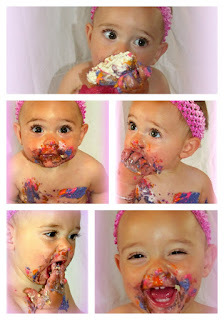 6 days early but I wanted Rob to enjoy the cake Smash as well and next weekend is her birthday. 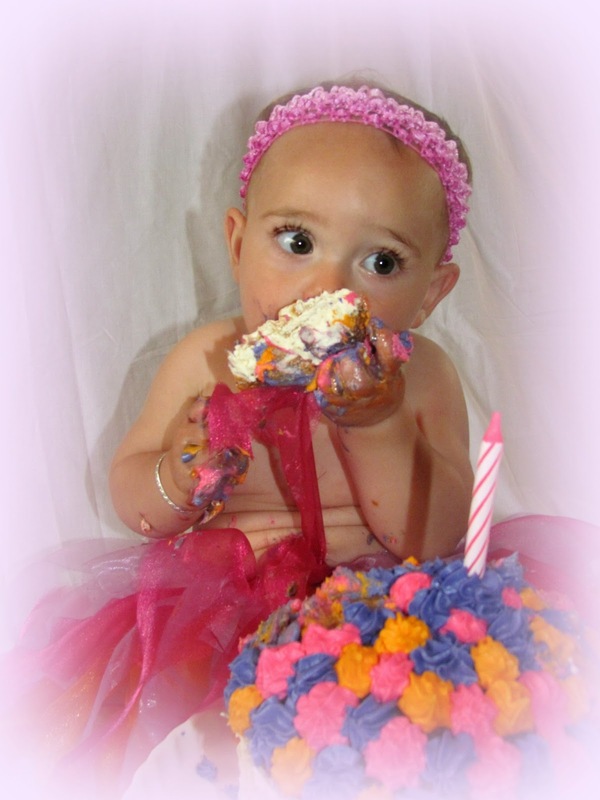 I made her a tutu out of a crochet headband. 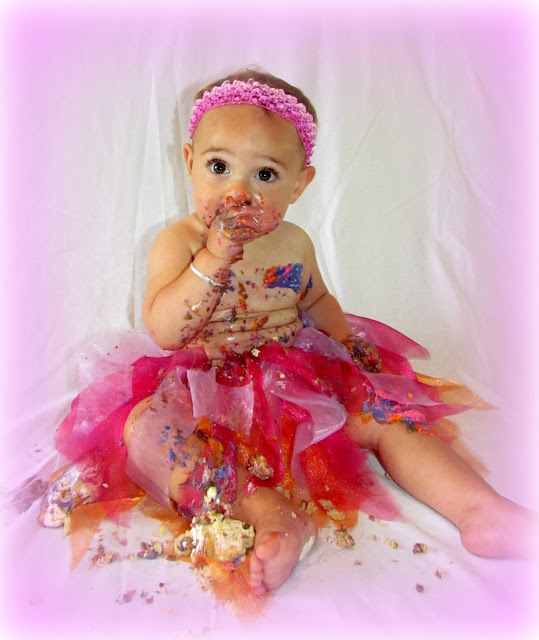 I found a little video on youtube that shows how you thread the tutu material through the holes in the headband and make a knot. 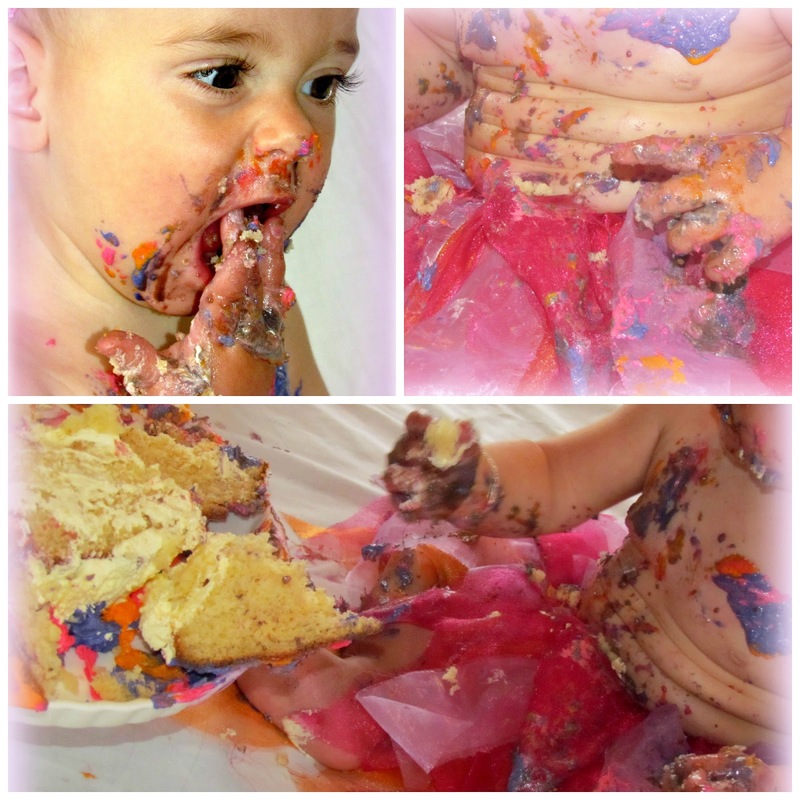 No sewing needed at all. Continue this around and complete for another three layers and you have a great looking tutu you can throw away when covered in food after the cake smash. 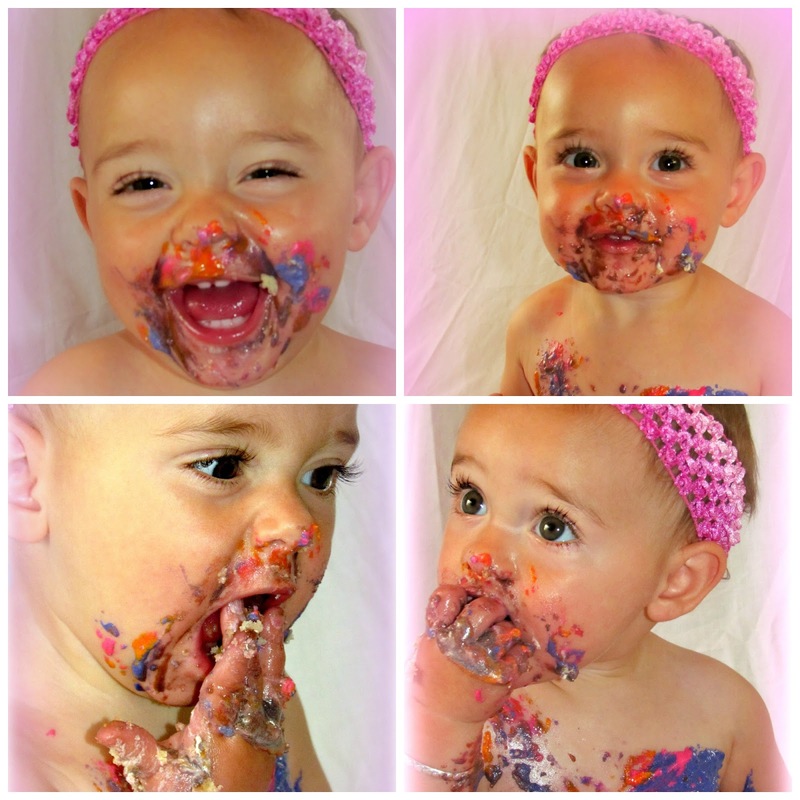 I used her favourite colours.. 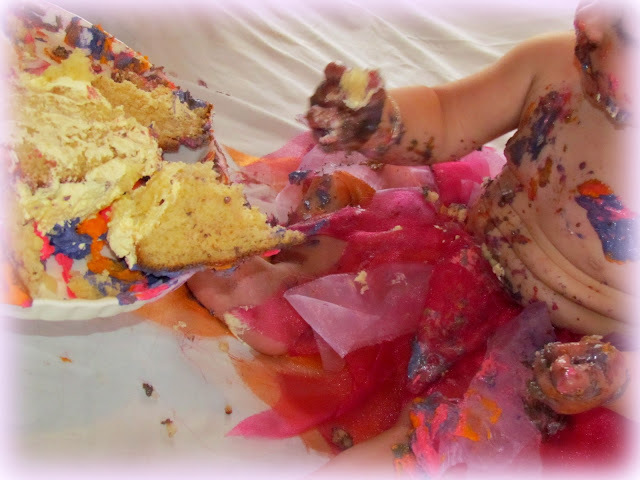 Pink, Orange and Purple and continued the theme in the Giant Cupcake with these colours for icing as well.